Oven Roasted Chicken is the first dish I ate when we arrived here in Canada two years ago. We don’t have time yet to buy groceries then. I remember that the roasted chicken was so big and lasted for 2 days. The oven roasted chicken here has a distinctive flavor and you can smell the aroma of herbs and spices used. Now, I’ve learned to love Canada’s native chicken. You can find their oven roasted chicken inside supermarkets and they also have different prepared meals like fried chicken, chicken sticks, mashed potatoes, potato wedges, variety of salads and dressings, etc. Back in our country, Philippines, oven roasted chicken (lechon manok as we call it..) can be found peddling everywhere especially in places where people are abundant. Filipinos are food lovers and great cooks. You can even see different kinds of big restaurants opening here and there and some carenderia (small-time eatery) in some neighborhoods. Thinking of it, I already miss our country’s native foods. I miss all of them. Oh, how I wish we could go back home by next year. PREHEAT the oven and a roasting pan to 425°F. REMOVE the giblets and any excess fat from the chicken cavity. Wash the chicken inside and out under cold running water. Pat it dry thoroughly as possible with paper towels. Liberally sprinkle salt and pepper the inside cavity of the chicken. Stuff the cavity with the bunch of thyme, crushed garlic (gently press with the side of a knife on each cloves to open slightly), bay leaves, both halves of onion and lemon (press down, roll back and forth several times to loosen the juices before cutting in half). IN ANOTHER VARIATION, gently loosen the skin from both sides of the chicken breast without tearing the skin. Sprinkle a little salt down the gaps that you have made, and push in some finely chopped fresh herbs (small handfuls of basil, parsley and marjoram) to further amplify the flavors (substitute sprigs of rosemary for the thyme in the cavity). Drizzle in a little olive oil. Pull the skin of the chicken breast forward so that none of the actual flesh is exposed. Brush the outside of the chicken with the butter and season generously with salt and pepper. Tie up the legs firmly together with kitchen twine and tuck the wing tips under the body of the chicken. REMOVE the hot tray from the oven and add a little oil. Place the chicken on one side, breast-side down (left-side view) on the roasting pan; allow cooking for 5 minutes. Then turn the chicken over to the other side, breast-side down (right-side view) and cook for another 5 minutes. Meanwhile, in a bowl toss together the potatoes, carrots and oil. Season the chicken with salt and pepper. 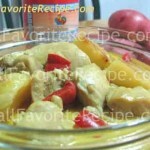 Remove pan from the oven, turn over the chicken and place on its back (breast side-up). 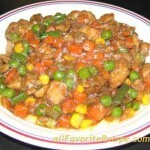 Scatter the prepared vegetables around the chicken and return pan to the oven. Continue roasting the chicken for another 45 minutes to 1 hour and 15 minutes more or until the skin is deep golden brown and the juices run clear when pierced between the leg and thigh. To test this, insert a thermometer in the thickest part of the legs (into the breast, then the thigh). The internal temperature should register at 160° for the leg, 180° for the breast and 190° for the thigh. Be careful not to touch any bones with the thermometer. Bones conduct heat and will give a false reading. REMOVE the chicken from the oven to a cutting board and cover with aluminum foil for about 15-20 minutes before carving so the juices settle. Meanwhile, transfer the vegetables onto a serving platter. Pour off excess fat drippings from the pan. Return to heat. Whisk in chicken stock scraping up the bits on the bottom of pan. Bring to a boil, and then reduce to a simmer. Cook until the gravy reduced by half or thickened. TO CARVE: untie the chicken legs. Remove and discard the inside stuffing of the chicken cavity. Place chicken on a serving platter breast-side up. Use a large fork to pull one of the chicken legs away from the body, and then use a sharp knife to sever the joint that connects the leg to the body. Cut the thigh from the drumstick at the second joint. To remove chicken breasts, cut straight down between them, following the contour of the rib cage, until you hit the wishbone. Cut through the joint where it meets the breastbone, and serve. 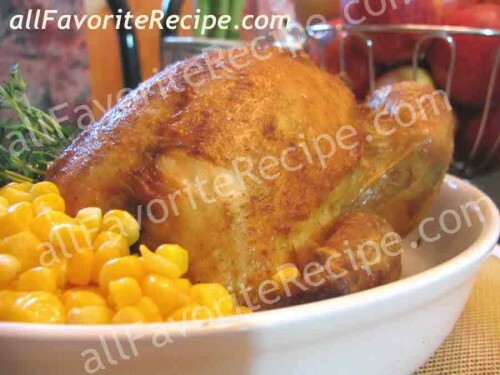 SERVE the roasted chicken with gravy and vegetables on the side. wow! thanks. i work here in bahrain and all of a sudden i remebered the roasted chicken that my parents and siblings eat together.missing the roasted chicken made me decide to buy a new turbo cooker or oven so that i could cook for them when i go back home in july 2010.the next thing i i could recall was i was already surfing the google phils for the best roasted chicken recipe. thanks for this and more power! wish me luck in my cooking!